This was really our starting point in France. 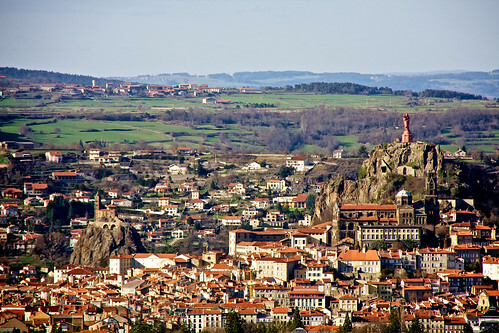 The ancient town of Le Puy-en-Velay. Took me a good few weeks after having been there to be able to remember its name. 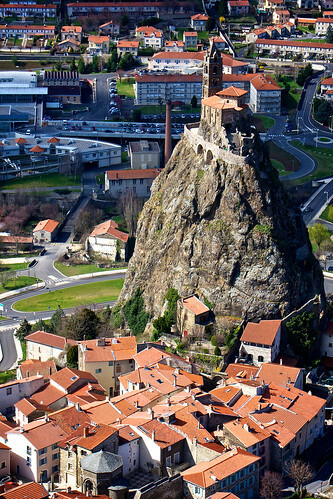 Why did we end up in Le Puy? No idea other than it was a few hours drive from Lyon where we picked up Felicity (Peugeot 207). We started the day in Lyon having arrived the night before. Lyon itself, no idea. We spent the night in an airport hotel in order to pick up Felicity first thing the next morning. We were very pleasantly surprised by Felicity. Brand spanking new, we got her through the Peugeot Open Europe lease program. So cheap for a new car. Fantabulous. 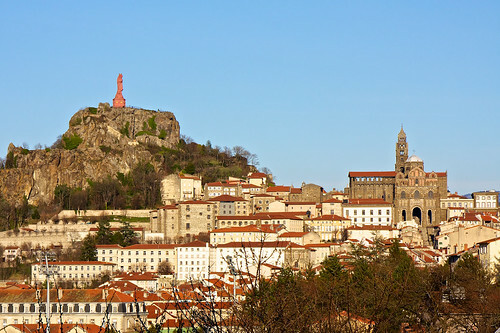 So, Lyon to Le Puy as seen below. Of course, we had some quirks driving in France for the first time. Excitement was had all around. 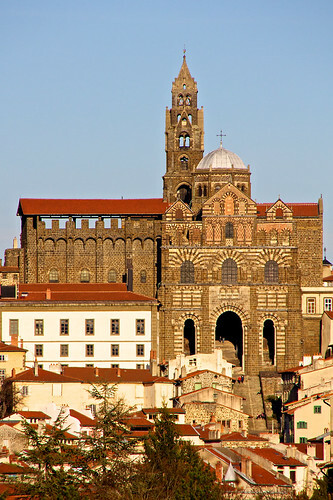 What is Le Puy-en-Velay famous for? 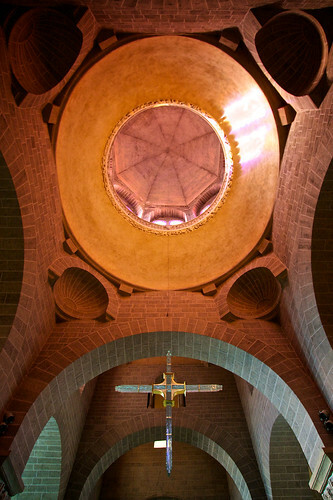 Its old cathedral and the chapel on top of a rock. 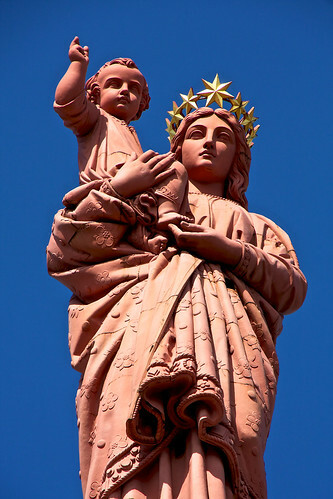 As well as the statue of the Virgin Mary overlooking the town. Look, lets have some pictures. They are more fun than me waffling. First, an overview of the town. 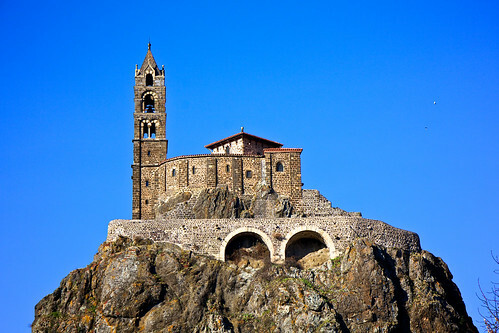 The Chapel on the rock, the Saint Michel d’Aiguilhe. And the Statue of the virgin Mary. Its hollow, and you can climb the whole interior, right into the head. Scary but fun. All in all, a really interesting, historic and fun place to start a road trip through South West Europe. Sleep? Really? Who needs it with Emarts "No Sleep Gum"